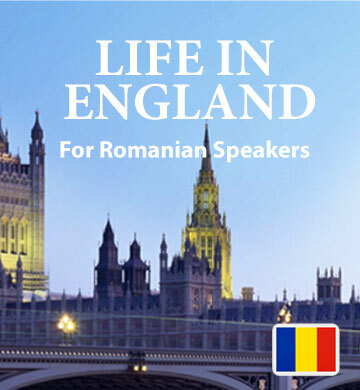 Our first book, “Life in England”, was designed to give Romanian speakers a realistic sense of the way that English is used by native speakers. Each short story in this downloadable book was drawn from a real-life incident, which means that the vocabulary you’ll encounter is relevant to everyday situations. Whenever you spend time with this book, you’ll find that you’ve begun to memorise these English words. Your instinctive understanding of pronunciation and grammar will grow with each reading, thanks to the accompanying audio track. You can now take Easilang with you by using our mobile app, which lets you read and listen to your book on your phone or mobile device. .